Turns out ExxonMobil, one of the world’s worst climate polluters, has known about the dangers of climate change since 1981. Yet the oil giant continues to be a major funder of climate change denial today. Greenpeace activists who have chained themself to a Greenpeace vehicle and to the entrance of the Exxon Mobil Headquarters are being observed by a couple of policemen and -women. 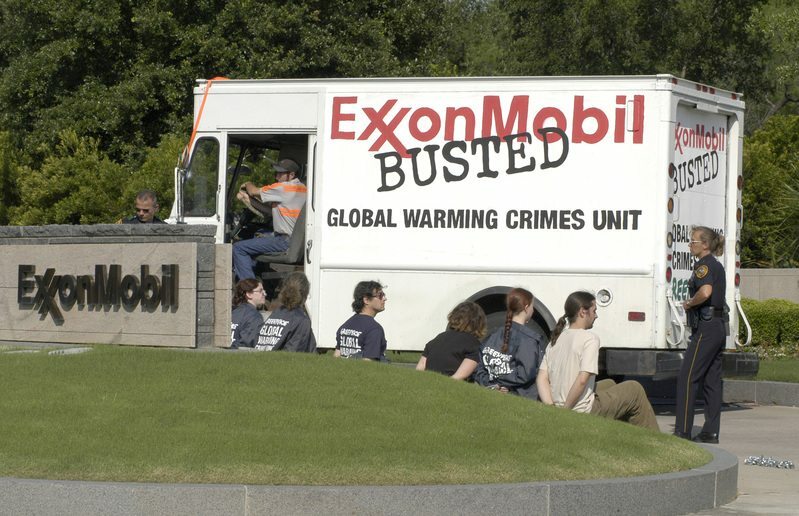 The vehicle says "ExxonMobil Busted" and "Global Warming Crimes Unit" on it. The new evidence comes from reports and emails written by Lenny Bernstein, ExxonMobil’s top climate scientist, who worked for Exxon for 30 years. Exxon has spent well over $30 million attacking climate change science since Bernstein’s first warning. National Academy of Science describing a consensus on climate change from the 1970s. While we have known that Exxon was responsible for opposing climate change solutions and funding climate denial, now we know they knew the truth 27 years ago. Much like big tobacco did with the link between cigarettes and cancer, Exxon leadership has denied the harm the company has done long after the scientific evidence was clear. 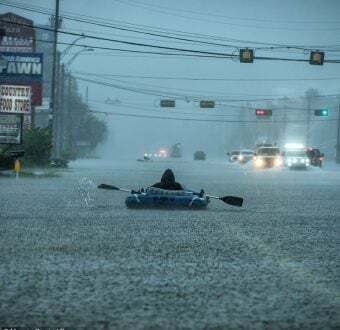 Earlier this year, Greenpeace revealed that Exxon, along with other fossil fuel corporations like Southern Company, funded a notorious climate change denier named Willie Soon. In fact Exxon continued to fund Soon’s roundly debunked research well after the company promised Congress they would stop funding confusion on climate change in 2007. Exxon spent more than $1 million on climate denial groups in 2014 alone.